I remember summer, 1969. I was battery commander of 2/319th Field Artillery. We were the unit in direct support of 3/187 Infantry, the “Rakkasans.” For days I watched as these brave infantrymen tried to take Hamburger Hill. My firebase looked directly across the Au Shau Valley to the Hill, perhaps a 7,000-meter distance. I emplaced a powerful binocular scope in front of my guns so I could spot every 105 mm round from the second they left the tubes and traced an arc into the North Vietnamese bunkers that laced the hilltop by the hundreds. The firing data is still etched in my mind: charge seven, elevation 426, deflection, 3221. Round after round, sometimes a thousand per day. Some of our rounds landed “danger close,”within 40 meters of the infantry as they hunkered behind coconut logs that had been blasted to the ground by exploding 500-pound bombs. How often did we ask: why don’t they die? How can they just hide there seemingly unfazed while thousands of tons of bombs and shells landed on them? Once our firing stopped we watched as they popped out of their holes to open fire as soon as our soldiers started each assault. I’ve had a lifetime to reflect on those days. It’s led me to question the assumptions that form the premises that govern the American Way of War. We have always been a firepower-intensive Army. We expend firepower in copious amounts to save manpower. We hope that killing power inoculates our soldiers against excessive losses. But the Hamburger Hill experience taught me that a thinking, adaptive enemy with a willingness to suffer and to die eventually becomes inured to the killing effects of American firepower. He learns to hide, go to ground, disappear among the people, camouflage, dig in and “hug” us in a deadly embrace too close for effective close-in fires. I’ve learned that firepower kills to be sure, but it also depresses the enemy’s will and suppresses his effectiveness though blast and pyrotechnic display. But a steady enemy soon learns that blast and sound really don’t kill. An enemy early in the conflict might duck and hide. A hardened enemy will go about his deadly business even in the most heated and concentrated barrage. Of course today we have precision. Now we kill with a single round. But be careful. Remember, the lessons from Hamburger Hill: the enemy can think and adapt and improvise. He wants to stay alive more than we want to kill him. Precision can be precisely wrong when the enemy can’t be seen … or hides in cities … or fools us into killing innocents with great precision, making sure the media is there to record the carnage. Pretty soon even precise displays of killing technology become too voluminous and visually offensive for the world to stomach. What’s the lesson? It’s simply that a thinking enemy will never be defeated by firepower alone. He seeks to win by enduring the firepower strike in order to await the advance of our close combat forces. On Hamburger Hill, in spite of my best efforts, so many died because the final assault devolved into an unfair fight wherein the enemy held most of the tactical cards. Unshaken, well led, with better small arms, still hidden and under cover, he opened fire knowing the ranges and avenues of approach precisely. He could see us. We still couldn’t see him. The outcome is in the record. You’ve probably seen the movie. So no matter how powerful our firepower systems as a matter of national priority, we must do more to guarantee that the close fight will no longer be an unfair fight. That last, deadly 50 meters must belong to us, not the enemy. Recent history strongly suggests that while our infantry might be better equipped today, they still have a long way to go to be dominant over that last bloody 50 yards. 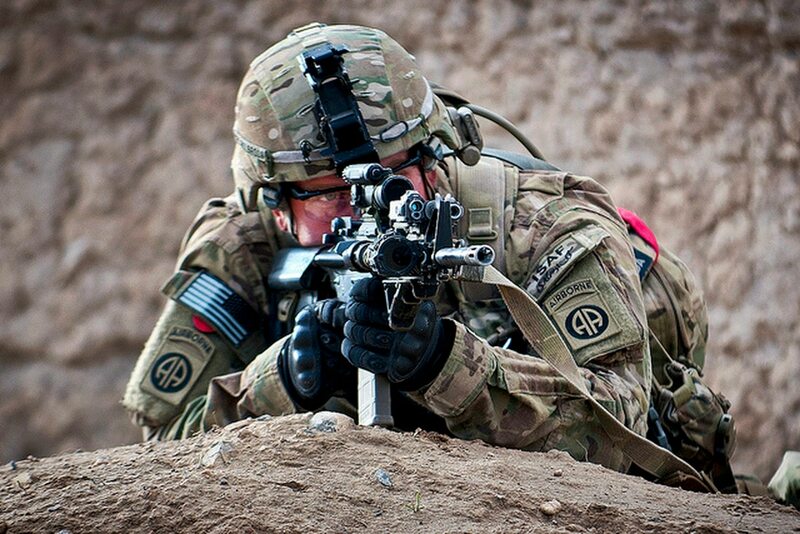 Our infantry need body armor impervious to the latest Russian and Chinese rifle rounds. They need to have a “carry-along” area fire weapon capable of killing behind defilade; they need to be equipped with a squad automatic rifle that is less likely to jam, with precision optics, longer ranging and powerful enough to penetrate enemy body armor. Think for a moment how many fewer Rakkasan soldiers would have died on the Hill if they had some means of sensing and spotting precisely the enemy firing positions before an assault. Today, drone technology promises such a capability. It defies logic why, in 2017, when Walmart sells quad copters equipped with cameras such a capability isn’t already in the hands of our infantry small units. America must remain dominant on the firepower battlefield. We must have the most precise and deadly bombs, rockets and shells. But history has taught us that firepower alone won’t give our Soldiers dominance on a future battlefield. The NVA certainly taught me that lesson over half a century ago. 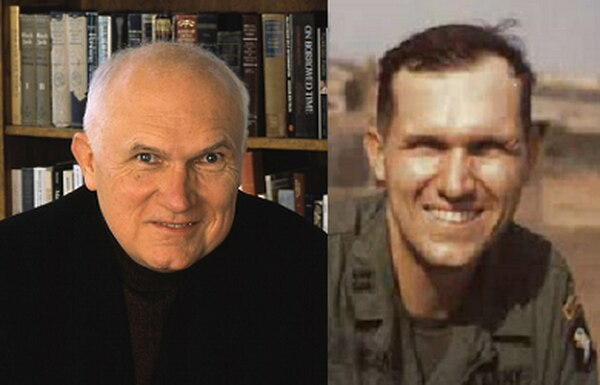 Retired Maj. Gen. Robert Scales served over 30 years in the Army. He commanded two units in Vietnam, earning the Silver Star for action during the battles around Dong Ap Bia (Hamburger Hill) during the summer of 1969. Subsequently, he served in command and staff positions in the United States, Germany, and Korea and ended his military career as Commandant of the United States Army War College. He has written three books on the theory of warfare: Future Warfare, a strategic anthology on America’s wars to come, Yellow Smoke: the Future of Land Warfare for America’s Military, and, most recently, Scales on War: the Future of America’s Military at Risk.